Johnny Watts entered the insurance business in 1984. He and his wife, Lorie, were married in 1982 and they live in Stony Point, NC. Johnny and Lorie have three daughters - Linsey, Abbey and Chelsea, and one granddaughter, Claire Stuckey. Johnny is an active member of Stony Point Baptist Church and enjoys teaching Sunday School and singing in the choir. For most of the 80's and 90's, Johnny worked with agents throughout the Southeast specializing in group voluntary insurance benefits. In 2005, Johnny Watts and Donnie Bost began focusing on life insurance working with agents in all states and working directly with local customers. 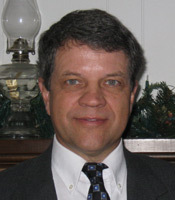 Donnie Bost has been a licensed real estate broker since 1981. He entered the insurance business in 1986. He and his wife, Teresa, were married in 1982 and live near Statesville, NC. They have three children: Nathan, Aaron, and Brittany. Donnie is an active member of Front Street Baptist Church and enjoys missions, working with youth, teaching Sunday School, and singing in the choir. After specializing in group voluntary insurance benefits for almost 20 years, Donnie Bost and Johnny Watts began focusing on life insurance, recruiting agents in all states and providing the best life insurance for local customers. It is without hesitation that we would recommend Johnny Watts and Donnie Bost to anyone of our family and friends looking to obtain life insurance. They are extremely courteous, professional, efficient and prompt. We now have our policy in place, are very satisfied, especially with the great guaranteed low monthly rate! Thanks for giving us both Peace of Mind! Keep up the good work Johnny. My experience with Johnny Watts was really good. He listened to all my concerns and addressed them with the knowledge I needed to make a decision on which policy would be best for me. He was not pushy and I appreciated that. My policy is in force and I am very pleased with my rate. I would definitely recommend Johnny to my friends and family. Johnny Watts reached out to me to address my insurance needs and I am glad he did. He was very detailed, presented several options and work tirelessly to get me a plan that best serves my needs.I do recommend using him for your insurance. I am at ease knowing I can contact him if I need to make any changes. Thank you Johnny. Working with Johnny was quick, painless and even saved me a few dollars. He is always prompt in responding to questions and concerns. I'd recommend him to my family and friends. Working with Johnny Watts in replacing my coverage with another carrier was the absolute best experience I could have ever asked for. In buying from other agents I was never really sure if I was buying what was best for me or what was best for the agent. I can honestly say I never felt that way in working with Johnny. He was very courteous with my time, explained the benefits and found something that was not a financial strain for me. I have recommended, and will continue to recommend, all of my family and friends to Johnny Watts Life Insurance Agency! Johnny Watts & agency helped me realize the importance of having life insurance to protect my family ... providing the best policy for my budget and personal health issues. Their approach was caring and patient, always answering my questions and providing options now and for the future. I recommend highly. I would highly recommend Johnny Watts Life Insurance Agency if you are considering getting life insurance for the first time, or a reevaluation of your current life insurance products. Johnny Watts and Donnie Bost were a pleasure to work with and they never tried to oversell or put any pressure on me to make a decision. I am very happy with my insurance. When I was looking for life insurance for myself I was bombarded with insurance agencies on the Internet. Johnny Watts was the only person to call me in person to discuss my needs. His agency worked hard to get me exactly what I needed. I would recommend his agency to anyone. I'm very satisfied with his agency's help!! I was dropped by my current insurance co. because of medical reasons so they say. I am 62 years old and life insurance at my age is very important and very difficult to find. I contacted Johnny Watts during my search and he really took the time to help me find the coverage and the price range that I could be comfortable with and worked with me to get me insured. It was a very easy process for me. I am very grateful to Mr. Watts for everything he did for me. It was a pleasure doing business with you. I got the Life Insurance I need after I retired. All the staff was so pleasant to work with. I was looking for life insurance. I am disabled and knew it was not going to be an easy task. As with anyone, I wanted the best for the price and to make sure I had coverage. I wanted to compare various policy amounts. I talked with Johnny Watts, via telephone, about my situation and what I was looking to do. Johnny listened and talked to me like a friend and at no time did he pressure me in any way shape or form. He also had me speak with Donnie Bost in his office. Donnie was very professional with me, also. And he didn’t he try to pressure or sell me. Johnny Watts did what I was asking and gave me the information I was looking for. Other companies gave me what they wanted me to get and I asked the same questions to them that I did with Johnny Watts. I am very satisfied with both of them. You don't find service like theirs in today's society that often. I do not have any problems recommending them to my family and friends. First of all, Johnny was there for me with the best possible term life insurance rate. In addition, his professional, friendly demeanor made the entire experience easier and more pleasant than I ever thought buying insurance could be. Thanks Johnny! I would like to thank Johnny Watts and Donnie Bost for helping me with my life insurance. They helped me find reasonable priced insurance for my age. They kept in contact with me for several weeks while I made my choice. Thank You. Johnny Watts provided exactly what I needed at the best affordable price. He made everything easy and clear without any hidden surprises. I am very satisfied with the service that I have received. Johnny and Donnie were great working with me and my schedule to determine the most effective cost and approach to my life insurance needs. I would highly recommend them to assist others as they are most concerned with tailoring the product to your needs. Thank you. 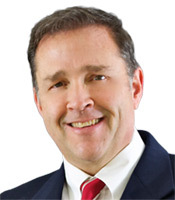 Johnny Watts was great to work with on our life insurance policy. He was honest and always kept in touch with me in case I had any questions. Johnny was also able to get us a cheaper rate than we thought we were going to have. Thanks again Johnny. Johnny Watts and Donnie Bost were a pleasure to work with in finding the right life insurance for our needs. We had previously had a very difficult time finding life insurance for my husband and Johnny found options for the both of us that were very affordable. They made the entire process very quick and easy. We would highly recommend them! I was very pleased and satisfied with my experience with Johnny Watts. As skeptical and unsure as I was to what I was getting myself into with Life Insurance, I knew I needed to do this to protect my family and had been putting it off for years, he had helped me every step of the way. Johnny was able to answer all my millions of questions and able to make me feel comfortable to make that step forward. He was able to help me get a great rate affordable for my family and put me much at ease after some recent incidents that came about in my life. I would recommend Johnny Watts Agency to any of my friends and family and I would definitely use his services in the future when I am seeking some again. Thanks for all your help and gratitude. Johnny Watts Insurance Ageny was very professional, knowledgeable and courteous. My experience was made smooth and easy, I was very at ease and felt I GOT AN EXCELLENT POLICY AT AN AFFORDABLE RATE! I was needing some help making some decisions about my life insurance. After looking for help online, Johnny contacted me and set me in the right direction. He was extremely helpful, and didn’t laugh at me no matter how dumb my questions were!! The process was a bit confusing for me, but he led me through it in a very knowledgeable way. Buying Life Insurance in today’s market can be very confusing, I found that working with Johnny Watts made me feel confident that I purchased the right coverage for my family at a price I could afford. My wife and I would recommend Johnny Watts and Donnie Bost to anyone that needs life insurance. They will work very hard to find you the very best insurance for the lowest possible cost. They know what they are doing. May God pour out His blessing on you. Thanks again for your help. Johnny Watts and Donnie Bost started out as our insurance agents, but quickly became our friends. Their knowledge and commitment are unsurpassed. Thank you for making the dreaded task of finding life insurance easy and painless. Johnny Watts Insurance made my shopping experience the best. Never had to leave my home, everything was done for me at my home. I would recommend them to anyone as Top Notch. We didn't know who to go to for life insurance. A friend gave me a card of Johnny and I called. He was great. I would recommend him to anyone. Johnny is a pleasure to work with and he took my concerns into account. I am a 58 year old male and cancer survivor. My existing $200,000 term life insurance rates went up dramatically, even to the point where I was going to drop the policy because it was unaffordable. Johnny Watts and Donnie Bost were able to locate a $350,000 10-year term life policy at a third of my previous monthly premium cost. Not only is it affordable but I can rest easy with the knowledge that my family will have financial protection in the event anything happens to me. I would recommend Johnny for anyone searching for an agency that provides great customer service and follow-up. Johnny, Just wanted to tell you how great you are for helping me with my life insurane. The world would be a much better place if people could conduct business as you guys do. Thanks again. So many have left God out of their professional life and guess what - it always has bad results. You are a great persn and friend. I pray many blessings for you and your lovely family. hanks for all your help in finding the right policy and help through the process. And being just a phone call away! I would just like to say Johnny has been very helpful in helping us get changed over from our old policies to our new ones. He and his staff made our change seamless and they saved us money in the long run. They were fast, courteous and thorough. I would recommend Johnny Watts and his services to anyone with life insurance needs. Thank you Johnny Watts and Donnie Bost for helping me get my life insurance in place. At first, I was not sure about getting a quote from an internet search, but after talking with you, both of you put me at ease and were patient with me while we looked at several options. Now, I have the peace of mind knowing that I have my life insurance. And I have two new friends/agents that will be there when I need them. I had a very special need and Johnny Watts was working for us and with us during every step of my insurance process and in such a personal way that it seems he is a part of our family. Thanks, Johnny, for your guidance and patience in this matter. Johnny Watts was a great help in finding a policy that I could work with and afford. He was never pushy and always very professional. Thanks Johnny for your help. My wife and I recently engaged the help of Johnny Watts and Donnie Bost to get new life insurance and long term care policies. They were helpful, well-informed, and worked hard to get us the best solutions to our needs. I can recommend them without reservation for anyone needing help with their insurance. It was a pleasure doing business with Johnny and Donnie. They listened to us and searched for reasonably priced life insurance that suited our needs. We have referred them to several of our friends and coworkers. Thank you! Johnny Watts did his homework before attempting to find the appropriate life insurance for my wife and me. He took the time to determine what we wanted to achieve, made suggestions and then worked to match our needs with the best price. Other agents wanted to meet their quota. Johnny wanted to insure we received value for our money. Johnny Watts did a wonderful job finding me the lowest rates possible on my life insurance. He took care of everything and made the entire process so easy. Johnny Watts and Donnie Bost helped me to find a life policy which doubled my coverage at the same premium I was paying under another policy. Both men were extremely cooperative, expedited the underwriting process, answered all my questions, were always friendly and gave me the impression they were concerned that I get the best coverage for my circumstances at a competitive rate. I recommend them highly to anyone needing to buy a life insurance policy. They are very trustworthy and dependable. Johnny Watts is a pleasure to do business with and I recommend him. He and his staff are helpful, smart, and honest. They not only helped me with my insurance needs when I was between jobs, but also lifted my spirits. Johnny Watts earned my trust and confidence the very first time that I talked to him on the phone.Talking to him is like talking to your best friend . He cares about people and has helped me and a lot of people by finding the right insurance for each individuals need. My wife and I were really amazed at the customer service Johnny Watts presented to us. He was genuine in his approach and in getting us the right policy and amount of insurance we needed that best suited my family. Honestly, that type of service is hard to find. Johnny Watts has been a great guy. He has helped me plenty of times with great customer service and knowledge. Thank you for providing me with all my life insurance needs. Johnny Watts earned my trust and confidence the very first time that I talked with him on the phone. Talking with Johnny is like talking to your best friend . He cares about people and has helped me and a lot of other people by finding the right insurance for each individual's needs. Johnny, thanks for keeping check on us. When you cross my mind I always say a prayer for you and the family, and Donnie Bost too. THANKS so much for being so up-front in our communication. We are happy with the life policy you suggested. I believe it's the best available. Thanks again for your friendship and let's remember each other in our PRAYERS. God Bless You My Friend. Johnny Watts helped me pick out a life insurance policy that was right for me. He was there every step of the way and always available when I needed to talk with him. I would highly recommend Johnny Watts to all my friends. Johnny, you were very helpful in finding the cheapest life insurance for me. You were very friendly and handled things in a timely manner. Plus, you don’t forget your clients once you’ve sold them a policy. Thanks for staying in touch. It was helpful to get the nurse to come to my job for my exam. I feel much better knowing my family will be taken care of if something were to happen to me. Thank you! Johnny Watts and Donnie Bost take the guess work out of your life insurance buying. As an active broker for over 40 years, I have utilized their services as both a broker and a policyholder. They search the top rated companies for the best rate available even with substandard cases. The application, policy issue and everything in between were made easier because of their involvement. They are exceptional. Johnny Watts and his office were helpful in finding life insurance for me and my wife. I talked to many different companies and agents during this process but I found none that was more helpful. I recommend anyone that is looking for life insurance to check them out. Johnny Watts found me the best life insurance for my needs. He found me a great rate. He made the process very easy for me. I would recommend him to anyone. After the loss of my husband, with no life insurance to help with final expenses, I knew that I needed to get some. I called Johnny Watts. He was very understanding about my situation and did all that he could do to lift the burden off of me in getting life insurance. I would recommend him to anyone that is in need of life insurance. He is very honest and helpful. 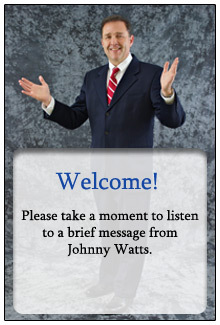 You will not go wrong using Johnny Watts for your insurance needs.